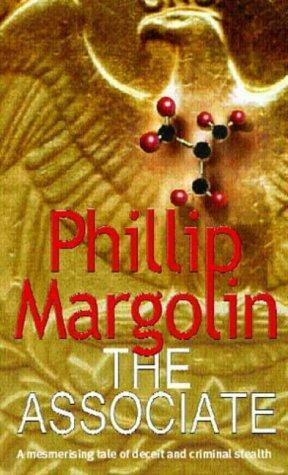 For a book with the most boring, unoriginal title, The Associate by Phillip Margolin is definitely a fun, quick, and suspenseful read! Daniel Ames is a high-powered, hard-working lawyer who becomes involved in a large case involving a pharmaceutical company and a drug that causes severe birth defects in babies when taken by pregnant women. As Daniel digs deeper into the case, he learns that not everyone involved in the case is who they appear to be, and suddenly he is accused of a murder he did not commit. Daniel must convince both colleagues and law enforcement that he is innocent, while he risks his life to solve the case and clear his name. I originally sought out The Associate and all of Phillip Margolin's other titles because I had enjoyed his Sleeping Beauty , which is one of the most well-crafted suspense thrillers I have ever read. While The Associate lacks substance and explicit detail compared to Sleeping Beauty , Margolin does an amazing job with suspense and keeping readers on the edge of their seat. I read this book nearly in one sitting! Despite my enjoyment of The Associate , I am extremely disappointed in the weakness of protagonist Daniel Ames. While Margolin really emphasizes Daniel's rough upbringing and tough-guy personality with a military background to boot, Margolin has Daniel sniveling, groveling, and freaking out like a frightened little girl driven to the point of comic relief. This statement probably sound heartless, but readers, you'll understand where I'm coming from when you read this book! All things considered, I'm still going to keep pursuing and reading Phillip Margolin's work. Well done!